Ventura County leads the country in safeguarding its agricultural lands and open spaces from urban sprawl because of some very effective grassroots efforts by county residents over the last 20 years. 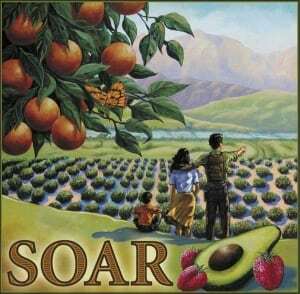 In 1995 the citizens of the City of Ventura narrowly passed the first SOAR initiative in Ventura County. A local group of citizens placed a SOAR initiative on the ballot and then withstood false attack ads paid for by the pro-development lobby. The measure passed on a 52% to 48% vote. 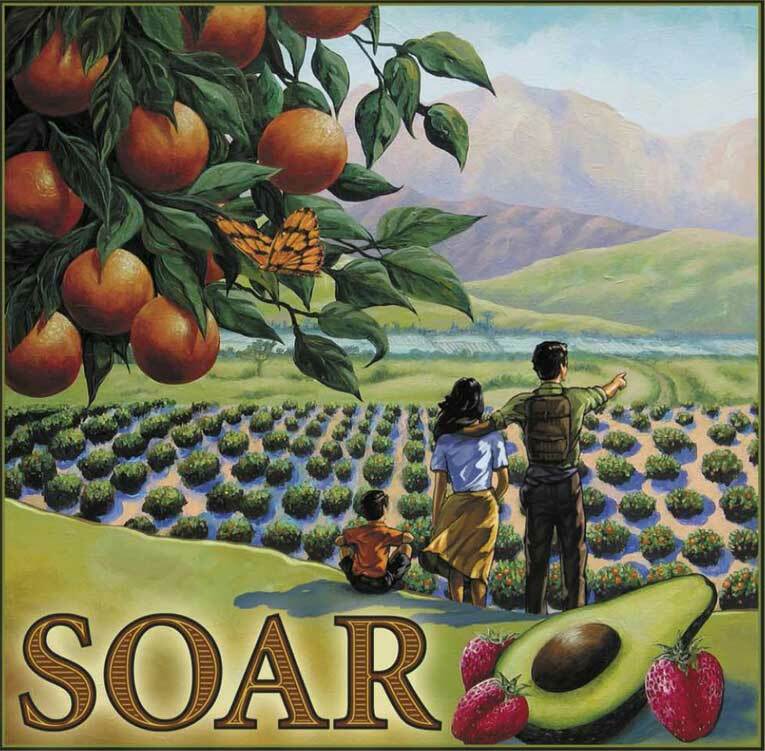 The Ventura SOAR initiative was then challenged in Ventura Superior Court, the California Appellate Court, the California Supreme Court and up to the United States Supreme Court. In all of those challenges, not one justice ever voted against SOAR. SOAR won unanimous support from the justices on the Superior Court and Appellate Court, and the State and Federal Supreme Courts refused to hear appeals of the pro-SOAR verdicts. Using the court-tested template of Ventura’s SOAR initiative that protects open space and agricultural resources, citizens in Thousand Oaks successfully gathered 11,000 signatures to protect open space and parks in their city. The Thousand Oaks Parks Initiative was approved in 1996. With the momentum of both successful efforts, east and west county grassroots groups merged and grew in strength to take SOAR countywide. 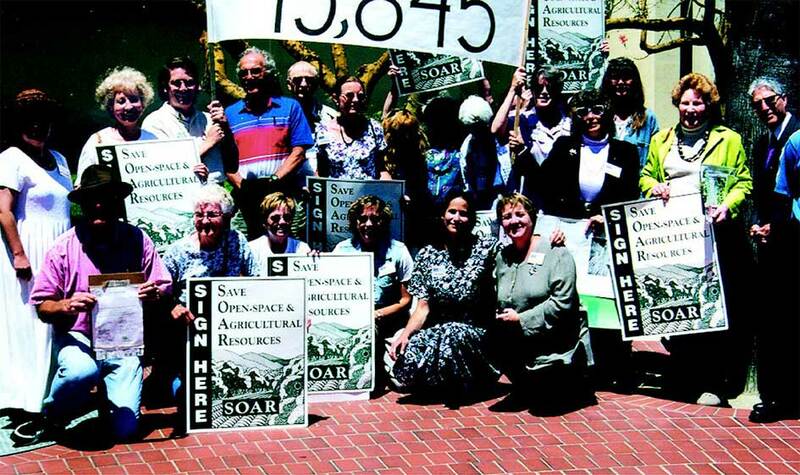 Three hundred volunteers stepped up and gathered over 70,000 signatures to get SOAR initiatives for all of Ventura County and most of its other cities on the ballot for a major countywide campaign in November of 1998. The countywide SOAR won 63% of the vote in 1998 along with SOAR City Urban Restriction Boundaries (CURBs) that were also approved overwhelmingly in the cities of Thousand Oaks, Simi Valley, Camarillo, and Oxnard. In subsequent years SOAR passed in the cities of Moorpark, Fillmore and Santa Paula, leading to SOAR protections in 8 of the 10 cities and in the unincorporated area of Ventura County. No county in the country has voter-protected open space and farmland in both unincorporated areas and cities. In 2016, SOAR mounted another grassroots campaign to renew all 9 of the SOAR initiatives, most of which were set to expire in 2020. Volunteers wrote 9 initiatives, gathered 84,000 signatures, raised over $750,000, fended off multiple legal challenges, defeated a competing initiative designed to weaken SOAR, and won overwhelming approval for the renewal of SOAR to 2050. SOAR has dramatically halted the traditional urban sprawl expansion pattern that has plagued Southern California. Located just north of Los Angeles County, Ventura County has been able to hold onto much of its natural open spaces and greenbelt buffers between cities and slow the loss of agricultural land to far below the rates experienced in other parts of Southern California, such as Orange County and the San Fernando Valley. Cities in Ventura County have become more focused on re-development, infill and renewal of decaying urban cores. Major urban sprawl projects like the Hidden Creek Messenger project proposed for the open space between Moorpark and Simi Valley have been stopped as a result of SOAR.